When was the last time you heard the word shooter? The modern-day drinking world has moved on, now preferring, well, shots to those layered liqueur concoctions with borderline-obscene names. But we’ll admit, there's something undeniably fun about shooters. Just saying “Kamikaze” brings a smile to our faces. They're perfect for parties—those who aren't willing to take tequila straight might be more easily talked into an innocuous-sounding Lemon Drop, say. And with the exception of layered shots, shooters have always been easy to make for a crowd; one shaker-full can get you at least four to six shots. And really, a shooter is nothing but a mini-cocktail, so why shouldn't they be delicious? All these recipes, of course, can be multiplied to serve as many people as you have at your apartment for pregaming. The B-52 is pretty enough that you might be tempted to sip it; please don't make that mistake, or you'll be drinking straight Grand Marnier. 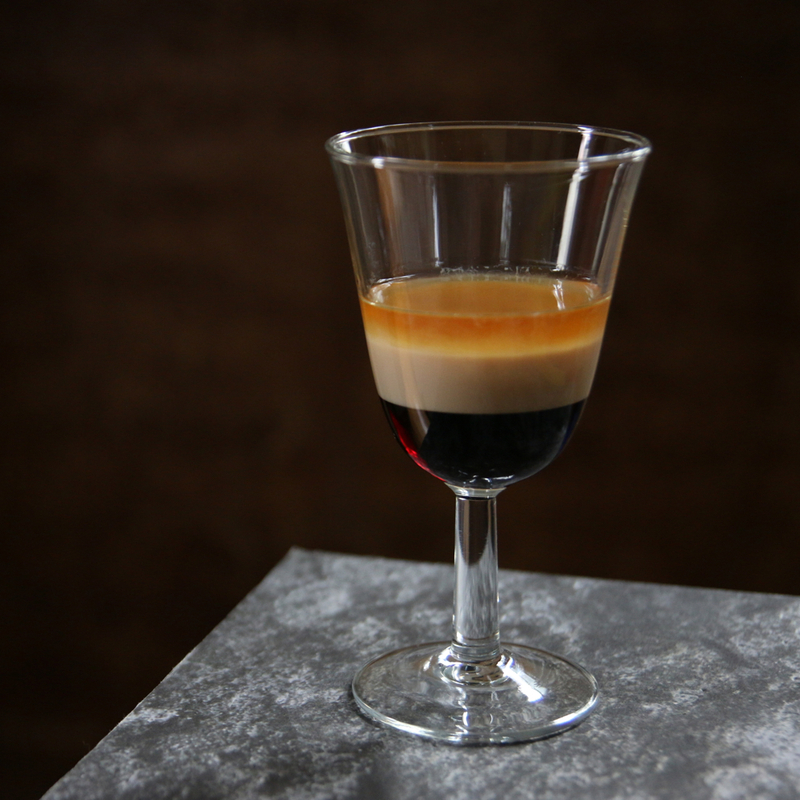 The idea is to shoot it all in one go, so you get Baileys, coffee liqueur and orange liqueur all at once. Instructions: Pour a 1/2 ounce of Kahlua into a large shot glass or small tulip glass. Carefully layer a 1/2 ounce of Baileys over the top. (The best way to do this: Take a bar spoon and hold it right at the surface of the Kahlua, with the spoon's back facing up. Very slowly pour the Baileys over the back of the spoon.) Then repeat with 1/2 an ounce of Grand Marnier. Shoot all in one go. Vodka shots are all utility, minimal pleasure—plenty of burn with none of the taste. (If you're Russian, or in the habit of drinking chilled shots with caviar, we'll let you disagree.) But with a little lemon and simple syrup, it turns into a shot of spiked lemonade, and who wouldn't like that? Instructions: In a cocktail shaker with ice, combine 1 ounce vodka, a 1/2 ounce of freshly squeezed lemon juice and a 1/2 ounce of simple syrup. Shake that all up and strain into a sugar-rimmed shot glass. Think of the Kamikaze as a teeny vodka margarita. Just vodka, lime and triple sec, it's a great candidate to make by the dozen. Instructions: In a cocktail shaker with ice, combine 1 ounce vodka, a 1/2 ounce of freshly squeezed lime juice and a 1/2 ounce of triple sec. Shake that all up and strain into a shot glass.